Julie is the ultimate professional: punctual, perceptive and supportive. Our selling experience went smoothly because she kept us informed at every step. It’s always great working with Julie. She makes sure things go smoothly even if the market is not in our favor. We trust Julie immensely and have worked with her with all our home buying/selling needs. We have now moved out of CA state and just wish she worked all over the US ! Great job as always, Julie ! Thank you ! "Our experience with Julie McCoy was great. She set a high standard of service for her clients. She was patient, responsive and thorough from start to finish with the sale of our house. We put our trust and confidence in her and we're very pleased that we did. Every transaction is different and so are the people involved. Julie and her team were very thoughtful through the whole process considering that we had lived in the house for thirty plus years. Her keen negotiation skills and positive attitude was superb. We felt she represented our interests very well. Thank you Julie and Team!" Julie is exceptionally knowledgeable and helpful. I highly recommend her to anyone looking to buy or sell in the Oakley or Brentwood area. She was our realtor when we bought in Oakley, a difficult short sale, and our realtor when we sold the same house 7 years later. She was always there and we knew she had our backs, always. Julie really impressed us with her detailed plan to market our home, and followed through on this plan. Her team was responsive and professional throughout the process. We received amazing feedback on the home photos for the flyer and website. This was a truly fabulous experience. Julie should be your first choice. I was referred to Julie by a friend. Julie is a wonderful person and fabulous agent. She is warm, intelligent, and has a great sense of humor. Julie is highly organized and very responsive. I was a first time seller and had not been through the process previously. She walked me step by step through the process and answered all of my questions thoroughly. She has a great marketing plan, including very professional photographs and advertisement media. Julie goes above and beyond, even playing with my 2 year old son so he wouldn't be in the home photos. She was very responsive to my concerns about an open house, and found a second agent/lender to host the open houses for security purposes. She has a wonderful personality, and that was reflected in the interactions with the buyer. I would definitely recommend Julie to other home buyers/sellers. Julie is very knowledgeable and resourceful in the real estate business! She is also very personable and returns phone calls and emails quickly. If there’s something you have a question about, she most likely has the answer. If not, she will find out for you. I was very happy that I hired Julie as she is so pleasant to work with! Buying a home can be a stressful thing and Julie really has a great way in making people feel at ease. I wouldn’t use anyone else after my experience with her. Our experience with Julie McCoy was wonderful. I highly recommend her to anyone! She went above and beyond to support us as we sold our home. She is knowledgeable, professional, experienced and personable. We live out of state and her communication was stellar throughout the process of selling our home. We had multiple offers on our home. Julie, you are amazing and dedicated, thank you for all your support! Julie was AMAZING in helping me find the best house possible. As a first time home buyer, I was feeling overwhelmed about the entire process. But after the first time speaking with her, I knew right away I was in good hands. From start to finish, she did a fantastic job of keeping me pointed in the right direction until we found the perfect home, even as circumstances continued to evolve. She came from a recommendation from a close friend, and I am happy to say every, single positive thing he had to say about her was completely true. Julie is very knowledgeable, she showed me houses and condos through various cities and guided me through the process with patience and kindness. Julie was a great support and since finalizing on my home I am confident that it is the right house for me. I would highly recommend Julie McCoy to help you find your home. My wife and I worked with Julie (& Sean) for nearly 18 months to find the perfect house for us. We made offer after offer and Julie was there with a great attitude each time that we did. She was always eager to show us More places and make offer after offer when ours was not accepted. I never once felt pressured and knew that Julie had our happiness and best interest in mind throughout the process. Julie provided an excellent home selling experience. 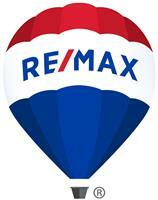 She is very knowledgeable, quick to respond, and made this a very smooth transaction. I would recommend her to anyone! We had a difficult sale, over 40 days in escrow. Julie continually suggested that we move forward, even though it seemed like we shouldn't. She worked with others "behind the scenes" to ensure we stayed as up-to-date as possible. She even stayed in touch and ensured things were moving, while she was on vacation out of the country! We went through three escrow closing dates. Julie remained professional, patient, and continued to push. We ended up with a good sale. I am sure if it were not for Julie, we would have ended up going back to market again and started all over. I recommend Julie to anyone who has a simple or difficult situation. She will come through. Julie is very capable and worth a five star rating. Her attention to detail and her quick response to my questions were very appreciated. If I was going to buy or sell a home in Concord or surrounding area I would call Julie. I have a very low stress threshold, and I needed to sell my house. I struggled to get all my stuff moved out, but I knew Julie was taking care of all the other work that needed to be done. She managed all of the vendors/contractors and the appointments for me, which is exactly what I needed. She also managed a difficult buyer, who had wanted to change the terms halfway through the contract. If I needed to buy or sell another house in that area, I would definitely go with Julie again. Julie is an awesome realtor. From beginning to post-sale, she was easy to work with, knowledgeable, patient, and well balanced. In the midst of difficult decisions, financing issues, and emotional upheaval, Julie was the clear, calm, rational and intelligent voice that carried us forward into our new, beautiful home. We couldn't be happier. I wrote a review of Julie McCoy five and a half years ago. At that time, I expressed my appreciation for the knowledge, patience, and honesty Julie demonstrated throughout the home buying process. She helped me find a house I have enjoyed for more than five years. During that time, my needs have changed. When I decided to sell my house, I contacted Julie. Reconnecting with Julie has been a delight. She is positive, energetic, personable, and above all else, very knowledgable. She offered several suggestions to make the house more appealing to potential buyers. Her advice was followed and the house was listed at a reasonable price. Thanks to Julie's advice and energy, the house sold in six days! The sale price was very close to the listing price. I have watched other houses in our neighborhood be on the market for months before selling. I was concerned I would experience a drawn out process. Julie guided me through a quick, efficient, very productive sale. I am very grateful to have had the opportunity to work with Julie on two separate occasions. She is knowledgeable, patient, energetic, personable, and effective. It is a pleasure working with her. She has my respect and my highest recommendation. I can't say enough great things about Julie. She sold our home in 6 days! She always had great tips and advice for getting our home ready to sell. Julie also helped us find the perfect home to buy. She knew the area well and the type of home we were looking for. The whole process of selling our home and buying a home was done with ease and confidence because of her expertise. Thank you Julie for being such a skilled, knowledgeable and caring realtor. You truly are the BEST realtor around. I recently moved in to my new “Home Sweet Home” and many Thanks to Julie Mccoy and her partner Sean Orman. They were both very dedicated, understanding and extremely patient in helping me find a home that fits my needs. Julie was very quick and responsive on multiple bids that I had offered. It was discouraging to be over bid time and time again but Julie and Sean were very supportive and encouraging. They didn't give up on me. Finally, we found the perfect house that I am enjoying. However, the experience was not pleasant due to the seller’s interest... Julie and Sean represented me in a very professional manner and guided me every step of the way. I know they worked extensively for me and I am so grateful. They are both extremely knowledgeable in the Real Estate business and I highly recommend them to anyone. "Thank you so much!!!" I met Julie at an open house I attended. I immediately felt as if she was experienced and knowledgeable. After our initial conversation I decided to jump in and start my own search. Julie was the most amazing agent I have ever used, I don't think I can use enough adjectives to describe her. She was thorough, focused on me as her client, personable, flexible, diligent and extremely hard working! She walked me through the entire process and even after closing has continued to stay in touch answering questions and providing ongoing support. I have purchased a number of homes, and used several Bay Area agents but going forward JULIE MCCOY will be only my choice from here on! Julie was a very helpful, knowledgable, friendly person to work with. She made the selling process so easy. She took care of all the details and explained everything to me along the way. I would recommend Julie 100% to buy or sell a home. Julie is an extremely knowledgeable realtor. She helped us prep our 2 properties which went on the market and were sold within one week. I highly recommend her! Julie is the best, most professional realtor I have ever had the pleasure of working with. She told me how to get my home ready to sell, and, by following her advice, my home sold in two days for above listing price. She communicates with you appropriately and you never have to question the status of the transaction.Julie is a realtor you can count on! I honestly can't say enough good things about Julie. From the moment we met her, I could tell she was going to be great and she did not disappoint. She is personable, caring, professional, very responsive and an amazing negotiator. Our buyer was playing hardball and Julie was strong, tough negotiator and she did everything with in her power to help us have a smooth transaction. I was stressed at times and she always answered my panic emails even when it was super late at night. Once our sale went through and move day appreciated, she even offered to help watch our kids. Wow, talk about going above and beyond. I would highly recommend and use her again. Julie helped my wife and I sell our home during a tough time. We had recently purchased another home with a contingency that we sell our current home. The process of selling our house was very fast and we would've been lost without Julie. She was quickly able to help us stage our home, show it through an open house and negotiate seamlessly with the buyer. Needless to say it was a very stressful time for our family and we turned to Julie a lot for guidance and support. She was able to calm our nerves throughout the process and speak with experience and confidence. I know that without Julie by our side we most likely would not have been able to sell our home in such a short time frame. She saved us. Julie was masterful in her ability adapt to the changing situations. She is naturally kind and generous...but when the time called for it, she was able to stand strong and negotiate tactfully and aggressively for us. I will recommend Julie to anyone I know that will be trying to buy or sell a home. She is great!!! I found Julie through the Pleasant Hill Chamber of Commerce. When my husband and I interviewed her my impression was that she was sharp and knowledgeable about the local market, but most importantly for me I felt like I could openly communicate to her without pressure. Julie was patient with us in searching for a home for almost a year. She responded quickly to our questions, had a flexible schedule to show us homes and provided us honest advice backed by her market analyses. Julie's expertise, professionalism and negotiating skills were especially demonstrated on the home that we bought. I am so happy that we worked with Julie and I would highly recommend her to help you find your home! Julie was absolutely amazing! She is very knowledgeable, honest, and prompt with communication. Recommended by a family member and I would recommended her to friends AND family. I definitely see myself working with Julie in the near future again. Julie is a pleasure to work with and enjoyable to be around. She is timely, knowledgeable, and masterfully persistent. She led us through buying our home in a way that made me stand in awe of her. I would highly recommend her to anyone buying, selling, or looking into the real estate market. I worked with Julie 14 years ago when she helped me buy my first home. I had the pleasure of working with her again recently on another home purchase. Just like the first time Julie made the experience not so scary. With her easy to work with manner and expert negotiation skills, I felt she was really working for me and had my best interest in mind. If you want an agent who is professional, knowledgeable, personable and above all RESPONSIVE and TRUSTWORTHY, I highly recommend you reach out to Julie because she is all that! I will definitely use Julie again for any future real estate needs and would not hesitate to recommend her to family and friends. Julie was amazing! Always pleasantly responsive to our questions and concerns; She never made me feel like I was bothering her. She great about offering possible outcomes to the various scenarios one encounters when both buying and selling a home. I felt well informed and never felt pressured. I highly recommend working with Julie. Julie is very knowledgable and takes care of her business in a prompt fashion. She never tried to sell me on anything but instead gave me facts about what I needed to know. I enjoyed working with her and plan on using her again. "Julie was great and very patient. She showed us quite a few homes before we found the perfect home for us. Julie also helped refer us to a contractor and a cleaning lady after we moved in." Pleasure to work with Julie, she is a true professional. Julie is phenomenal! She has your best interest at heart and is so dedicated to every client. Julie was not only easy to work with but very personable. She gave honest feedback and great advice. Our house had an offer within the first three days!!! Our home selling experience was so easy thanks to Julie. I will recommend her to all my friends and family. Julie, was excellent to work with and we would ask for her expertise when the time comes to purchase another home. The house we purchase was a tough buy due to our loan approval process. Julie was always present and resourceful. When our first loan didn't go through she was able to find another broker within a day that was able to get us cleared to close within 15 days. It was exceptional! Thank you Julie! Julie is exceptional. I had planned to interview two other highly regarded real estate agents. Julie was the first interview. It was obvious that she was the person for this job. I didn’t even interview the others. Julie is a true professional. Very motivated and energetic. She also has a good eye for staging a home. She suggested improvements which made a major difference in selling my home. We have used Julie to sell two homes and buy another one. She is knowledgeable, professional, and trustworthy. She constantly went above and beyond what other realtors provided. Her expertise helped us through some tough negotiations! Julie was so easy to work with! I’ve never sold a home before. She was very professional and a good communicator! I had great confidence in her abilities to sell my home. She did a thorough and fast job! I would definitely use her again!!! Thank you Julie! Very informative. Had great discussions regarding the current and new neighborhood. Julie did a great job. She told us what to do to get the home ready to sell, gave us names of people to work with, and then sold it quickly. We were very happy. Julie was great to work with. She was knowledgeable about our neighborhood and all the real estate nuances that are involved with a successful sale. Julie was great at responding quickly to text, phone calls and emails. Was always available when needed, and communicated all parts of the sale process as it proceeded. She actually managed to sell our house in zero days! She found a buyer in pre-sales... The transaction was short and painless and we were very happy with the proceeds. She coordinated everything– the repairs, photos, title, sale. Works very hard for the money. Definitely recommend. Julie was fantastic! I really wanted an aggressive, no-nonsense Realtor to complete this transaction. I was upfront about my expectations and Julie delivered a sale at full list price. I was and am delighted! Professional, realistic, does not over promise, ethical, looks out for the clients best interest. We absolutely loved working with Julie McCoy! She was always very responsive in our home buying experience. She went above and beyond every step of the way. I'd love to work with Julie again in the future! Julie is great! She was extremely helpful and provided us with some good tips to help sell our property. I was impressed by how quickly she responded to questions we had and by her proactive involvement in providing us with updates on potential buyers. I will recommend Julie to any friend looking to sell their home. Julie was professional, attentive and very sharp. She was able to anticipate problems and provide possible solutions to us after listening to what we thought on the subject. Julie is an absolute treasure! When we moved to California, she found our first house in Walnut Creek close to the bart. After 2 years, we outgrew the property, so she helped us find the right property for us after looking at several houses in the Concord-Clayton area over 3 months. She helped us file a really competitive bid based on comparables, and the closing was smooth and hassle free. She is now helping us upgrade the previous property before we put it on market. She found incredibly good contractors for repairs, paint & upgrades. Picks up the ball on really short notice. Knows the community really well. Will strongly recommend working with her. Julie was terrific! She makes sure your best interests are her top priority. I would recommend her to anyone looking for a great real estate agent. Julie was amazing to work with! Very professional, thorough, and knowledgeable. My wife and I would highly recommend her. Julie was great helping us sell our condo. This was the first time we sold a home and it was truly a great experience. Julie is highly recommended. We sold our home in the Bay Area while living in Southern California. Julie made the process very smooth. Her clear communication made it seem as though we were right there the whole time. Her professionalism and attention to detail was evident from the first discussions we had about the potential sale. Julie is great; she provided us with honest feedback and advice and worked very hard for us--ulitmately getting us the best price for our home. We highly recommend her! Julie is both personable and very professional. Her communications skills and diligent follow up efforts and her understanding of the local market area certainly helped us capture optimum value in our home's final selling price in a market where other sellers/agents began taking unnecessary price reductions (e.g. including local homes for sale that are still on the market today in light of significant price reductions). We strongly recommend Julie to anyone looking to sell there home and we hope to be reunited with Julie and her services to purchase/sell future properties. We began to work with Julie through a glowing recommendation from a friend who bought a house with Julie. As first time home buyers we were extremely nervous but welcomed the recommendation because we had worked with several agents before Julie but never felt like our best interests were coming first. When working with Julie, we immediately felt at ease. She was knowledgeable, informative and really knew how to work with each of us. She made sure that we were comfortable throughout the entire process and always made sure that we were aware of the pro's and con's of each house. We never felt pressured to buying and she never tried to sway us one way or another. Julie always made sure that she gave us the tools that we needed, provided guidance and allowed us to make each decision. Even once we closed, she has been in communication with us and help us for one-off requests when needed. We feel completely comfortable with Julie and would not only highly suggest her to anyone, we will absolutely work with Julie in the future. Julie is awesome!!! Definitely a go-getter agent! Addressed all my concerns and walked me through every single step of buying my first home. Full of knowledge and reassurance, which helped me tremendously as a first-time home buyer. I couldn't ask for a better agent! I would definitely recommend her to any one of my friends and family members looking to buy a home. It has been an outstanding experience to work with Julie. Julie brought professional experience, a clear mind, and, perhaps most importantly, sensitivity and understanding to helping me my reach my objectives. Consequently I was able to trust and turn over to Julie care of matters that could have otherwise caused me much personal distress and distraction from my goal. Thank you, Julie. I'd work with you anytime. Julie was attentive and always communicated with us at anytime of the day. She helped us tremendously. Would recommend her! Julie was amazing to work with. She helped to answer a number of questions and was a Rock for us during a difficult time. I highly recommend working with Julie. Very thorough and professional. She walked us through all the pitfalls and closed a stellar transaction. Julie is very professional and ushered us through the sales process in a timely and efficient manner. She knew what to do and helped us immensely. I highly recommend her. Julie got me into my first house with everything on my wishlist, and it ended up being quite below my dollar limit. I would continue to use Julie McCoy for buying and selling property. Julie was instrumental in helping us purchase our latest home. It was not our intention to purchase a short-sale home but we fell in love with what turned out to be just that. Julie was careful, knowledgeable and always looking out for our best interests. I honestly believe we would not have had our offer accepted and eventually closed our deal if Julie was not our agent. Exceptional!! Julie McCoy was a lifesaver. We were in the process of having a difficult and very stressful experience trying to sell our home when the market started to significantly slow down. The realtor we had first chosen didn’t believe in doing aggressive marketing. All the agent wanted to do was keep lowering the price of our home. Then we met Julie. We were extremely impressed by the professional presentation she gave to introduce herself and what we thought she could provide to us as an agent. She knew exactly how to market our house in the changing market. One month after we hired her we accepted an offer. I don’t think you could find a better and more dedicated realtor than Julie McCoy. Hi Julie, …I just feel that we have gone thru a lot in the past few months together, and I know that you did things for us that were “above and beyond” what you really needed to do. I know that I could not have made all of the many decisions so “painlessly” without your expert guidance – you made this whole process go very smoothly for us, and I can’t even tell you how very much I appreciate all of your help with walking me thru everything (especially with signing the papers today) - it was great knowing that you were there!!!! You are very good with communicating what is going on and why. I just wanted to express my delight with the level of service that Julie McCoy provided for my wife & me. Let me relate our experience. I found Julie’s contact info on Realtor.com & read a bit about her... I entered my contact info in the form, & literally within an hour & a half, Julie called me. I was quite surprised, but came to realize that this is just how Julie is – Super responsive! Well, we met that same day, & it was obvious that Julie had already done her homework. She had a great grasp on home values in my neighborhood, & I decided to have her meet with my wife as well. When she came two days later... she had done the rest of her homework, & we sat down & listened as she explained exactly what we could get for our house and why. We had a number of concerns around minor fixes & where we should focus our repair budget. She was amazing in her knowledge & helpfulness. Well, we were so impressed, we decided to go with her, & it was the best decision we could have made. She hired (out of her own commission) somebody to come in & walk us through paint color schemes & then actually stage the house once we had moved everything out. Within a week of going on the market, I was flooded with interest & had already accepted an offer. Once the house went on the market, I no longer even lived in the state! Julie took care of everything – even coordinating with my neighbors to make sure my lawn was watered & mowed! I was able to relax & not worry about a thing. Well, it turns out that the initial buyers got cold feet and backed out. But Julie never missed a beat. She got the house right back on the market, got the word back out & within another week I was deciding between three more offers. This time the sale went through & again – Julie took care of everything. I never worried for a minute. Throughout the entire process, Julie called me virtually every day to keep me up-to-date on everything that was happening. It was an incredible experience. In total, with her expertise in pricing a home, where to focus a repair budget, & negotiating with buyers, Julie got us close to $80,000 more than we would have gotten otherwise. It was definitely worth the commission we paid her. Please, if you are thinking of hiring an agent to sell your home, call Julie McCoy. If you want to get it straight from the horse’s mouth, you can even call me. My name is Ben and I will be happy to give you all the reasons you should choose Julie McCoy. Julie, thank you so much for making the sale of our house so pleasant. Your professionalism and enthusiasm come through in everything you do. Julie was able to get us top dollar when we sold, and helped us negotiate a great deal with our current home. She has a team that kept us in the loop every step of the way. It was a great experience. I highly recommend Julie whether you are buying or selling.